It’s that time of year ladies, the festive season is finally here and that means P – A – R – T – Y! It’s the one time of the year when it’s almost frowned upon to not dress head to toe in sequins and throw a box of glitter on yourself! The more bling the better in my opinion and that includes your accessories. 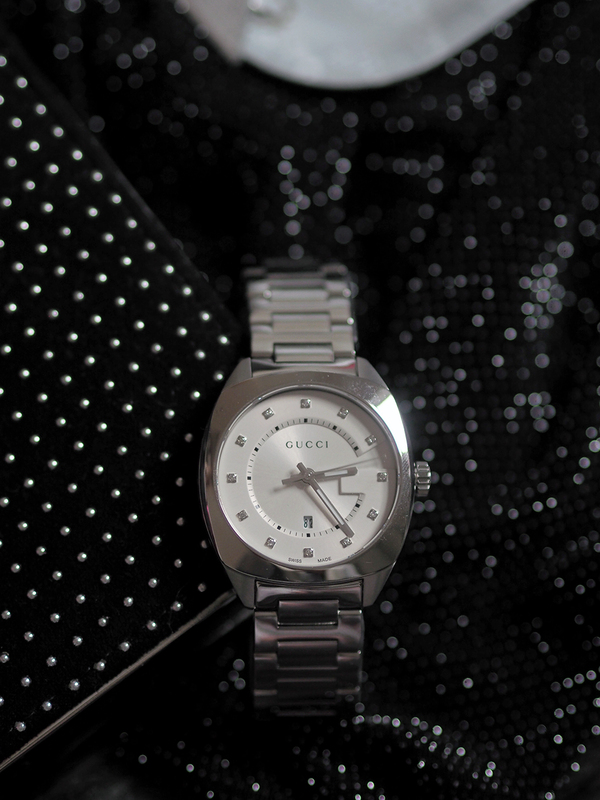 This Gucci Quartz Stainless Steel White Dial Ladies Watch from The Watch Gallery ticks that box a million percent! I mean, just look at how beautiful she is? I’m a silver kinda gal, the majority of my jewellery is silver or white gold as I think it just goes with more. 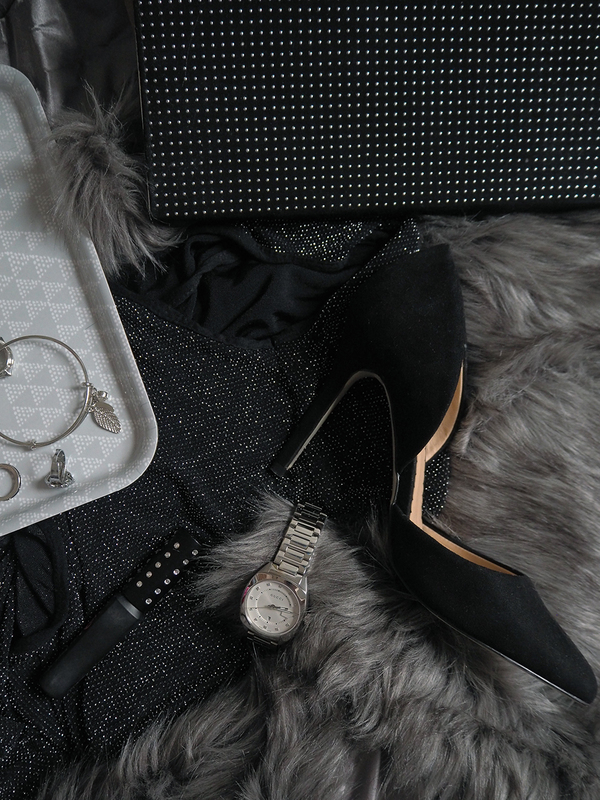 I’ve teamed this watch with a sparkly top, faux leather skirt, a studded clutch and a faux fur gilet for a bit of warmth on those winter nights out! I think there’s something really classic about black and silver and adding textures makes it perfectly on trend. Have you got your party outfits sorted yet? 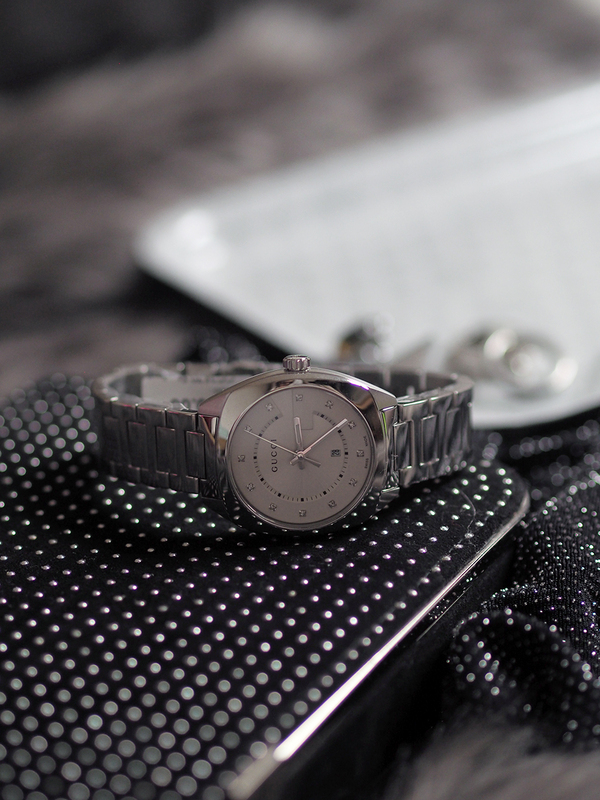 What's your must have accessory?